This aerial was made sometime before 1957, because the Municipal Auditorium has not been built yet. The only thing that has been done is that the foundation had been poured and it does not look as if any construction is in the works at this point. You can also see the San Carlos Hotel in the bottom center of the photograph. 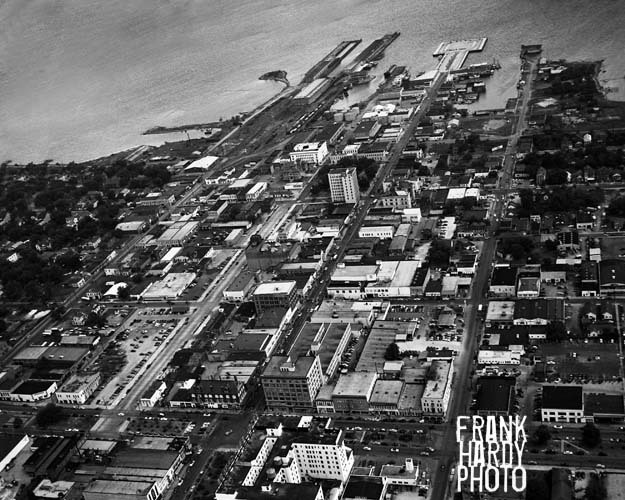 Nice aerial view of downtown Pensacola from this time. Anyone that can pin down an exact date on this time would be appreciated … thanks for looking.